Krishna Jayanthi was just over and I am sure Indian blogs will start posting recipes for Ganesh Chaturti. My blog is not an exception. But today's post is not prepared with that intention. It was prepared long time back and pending from my side since it took sometime to edit the pictures. 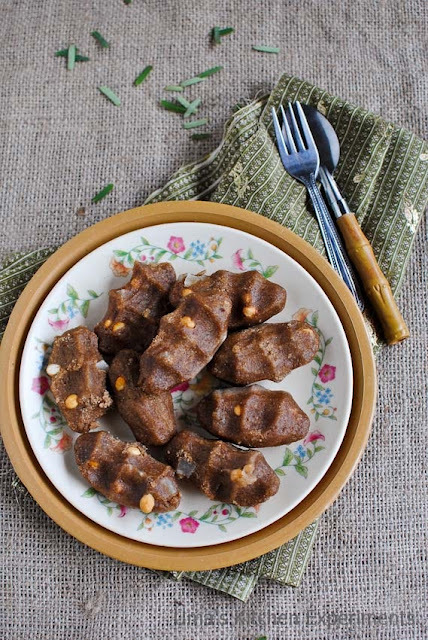 The recipe in today's post is nothing but pidi kozhukattai which is prepared using the roasted and powdered whole wheat. 1) In a heavy bottom pan, dry roast the whole wheat till it slightly changes in its colour and releases nice aroma. It takes 10 minutes of time in medium flame. Transfer to a plate and allow it to cool. 2) Once cooled, make a powder of it using a mixie. Transfer to a mixing bowl. The smell of ground wheat smells super. Don't hesitate to have a spoon or two. 3) In another pan, take jaggery and water. Heat till the jaggery completely dissolves. 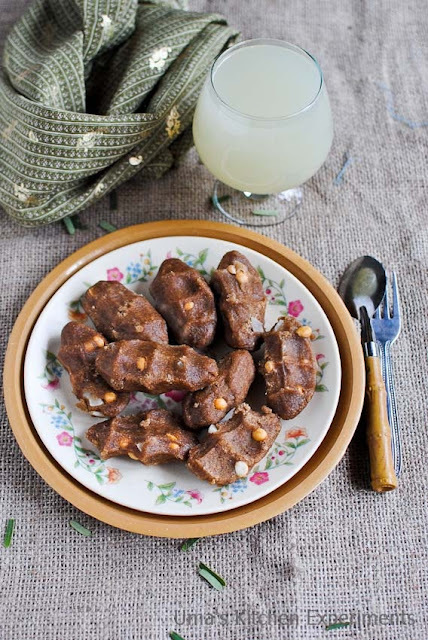 4) Filter the jaggery syrup to remove impurities. Add this syrup to the mixing bowl. Mix well using a spoon. 5) Add chopped coconut, roasted channa dal and a pinch of salt. 6) Make a soft dough. Make sure to add only sufficient water. 7) Pinch a small portion of dough and make kozhukattai (Make small cylindrical dumpling and press it using your finger). 8) Steam it for 10-12 minutes or until the kozhukattais are done. Use steamer or Idly cooker to do this. 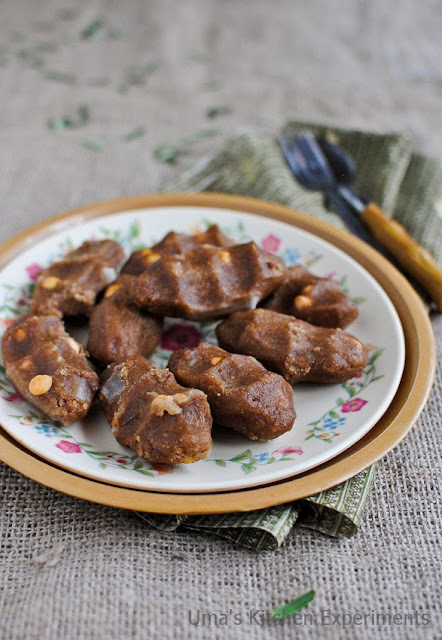 1) Adjust the jaggery quantity as per your taste buds. 2) The water quantity might change according to the type of whole wheat you use. 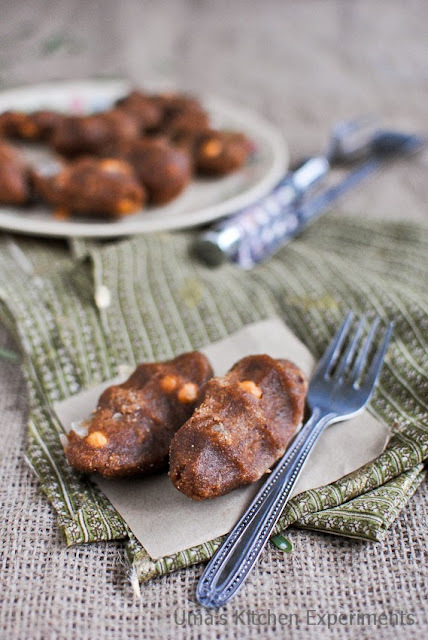 I do this sweet kozhukattais with the store bought flour, love the way prepared from the whole wheats, delicious and healhy kozhukattais. looks yumm! can we do with atta? Delicious and healthy preparation. Wonderfully prepared. @Veena, you can use it using atta. Dry roast the atta flour before using.